Your study abroad credit can take 8-10 weeks to work through the entire process once we receive your official transcript—assuming that there are no delays due to courses not being approved or fellowship projects not being completed. Before leaving your study abroad program, please make sure to request that your foreign transcript be sent directly to the IPENG office. You should also verify that you have done everything you need to do for the foreign institution (paid all outstanding balances, signed any transcript release forms, etc) in order for the foreign institution to release your transcript. You will receive a letter or percentage grade on your foreign transcript for every course. Keep this in mind if you are planning to apply to graduate school because the graduate school may require a copy of the foreign transcript as part of your application. IPENG must receive an original transcript—we cannot accept an electronic transcript. We cannot accept a transcript that has been sent directly to the student unless it is brought into the IPENG office in the sealed envelope it was mailed in. Are all of your courses approved? If there are any courses on your foreign transcript that have not been approved, you must get those courses approved before we can proceed with processing your study abroad credit. If you participated in a research program, you will have to take the research materials to the Chief Advisor of your department for review and approval. Once requirements are met, your study abroad credit will be sent to the Registrar’s Office for posting to your record and to the Records Officer in 206 Engineering Hall. The IPENG office has no control over the time it takes for the Registrar’s Office to post study abroad credit to your record, or how long it takes the Records Officer to get the course usage applied correctly to each course. Study abroad courses will always show up as ENG388 even if you had the course approved as the equivalent of a specific University of Illinois course. Remember, as a College of Engineering student, you took all of your courses for CR/NC only. The only exception to this rule is if you took a course for a major or minor outside the College of Engineering. 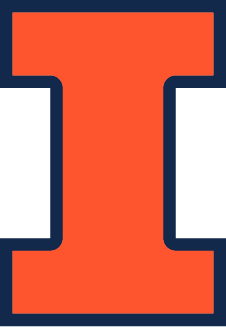 You have to be enrolled in the major or minor at the time your study abroad credit is processed in order to receive a grade on your University of Illinois transcript.